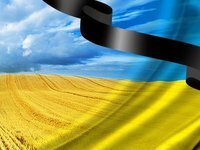 One Ukrainian serviceman was killed and another two suffered injuries in Donbas in the past 24 hours, Ukrainian presidential administration spokesman Andriy Lysenko said. "One of our soldiers was killed and two suffered injuries in the hostilities over the past day. The casualties were suffered in a hostile attack near Maryinka," he said at a press briefing in Kyiv on Friday.